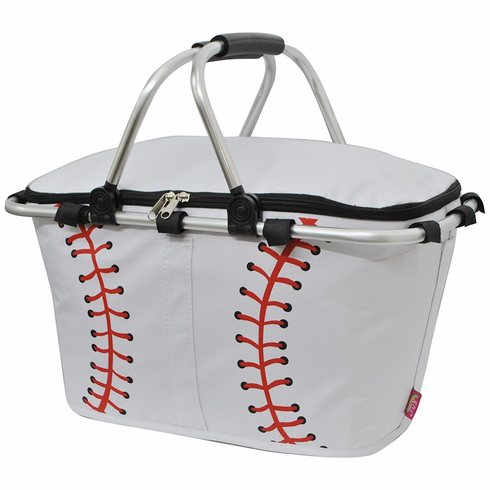 White Baseball Insulated Market Basket. Measures appx. 15.5"(L) x 8"(W) x 11.5"(H). Metal frame and inserts included.